Boston is a great home base for nearby day trips that are within two to three hours of the city. Whether you want to immerse yourself in history or take off to a traditional New England vacation town, there’s no shortage of destinations at your fingertips. Most of these spots are easily reachable by private and public transportation if you prefer to go sans car. Here’s 7 Boston day trips that will allow you to experience the diversity and beauty of the surrounding area. Home of the 1692 witch trials, this town although now tourist-oriented is steeped in history. Stop at the Witch House, which was home of Judge Corwin and is now a museum. The Peabody Essex Museum is for those who want a breather from the town’s dark history and holds one of the largest Asian art collections in the country. Tour The House of Seven Gables, which was the birthplace of author Nathanial Hawthorne and is thought to have inspired his novel of the same name. If you’re around the area in October, Salem is extra festive during Halloween. You can drive or take the commuter rail which takes you within walking distance of the center of town. For lunch: Grab a spot at Turner’s Seafood, where you can get treats like the lobster bisque (with extra lobster meat of course). Located just a little more than half an hour outside of Boston, this historical town is known for its American Revolutionary War sites that are situated in Minute Man National Park. There is also Walden Pond, which is a nature preserve that was frequented by the writers Henry David Thoreau and Ralph Waldo Emerson, and inspired some of their most famous works. The Louisa May Alcott’s Orchard House, was the home of the famous author and inspired her novel Little Women. For lunch: Go to Rapscallion Tab & Tap for solid sandwiches, burgers and salads, as well as a great selection of beers. This popular summertime getaway is a great place to spend the day wandering around the quaint downtown areas of Hyannis, Provincetown, and Chatham (to name a few). Walk along the picturesque sandy beaches of the Cape Cod National Seashore (start at the Salt Pond Visitor Center for information on the Cape’s ecology and evolving landscape). Head to lively Proviencetown, on the northern tip of the cape, which is known for its artist and LGBT population. Make sure to check out Commerial Street, which is filled with art galleries, restaurants, and nightclubs. There are ferries that depart from Hyannis during the warmer months for Martha’s Vineyard and Nantucket if you want to venture further to these popular island destinations. For lunch: Drop by Cap’t Cass in Orleans for delicious fried seafood and no-frills atmosphere where you can see the fishing boats out the window while eating. Open until 2pm for lunch. 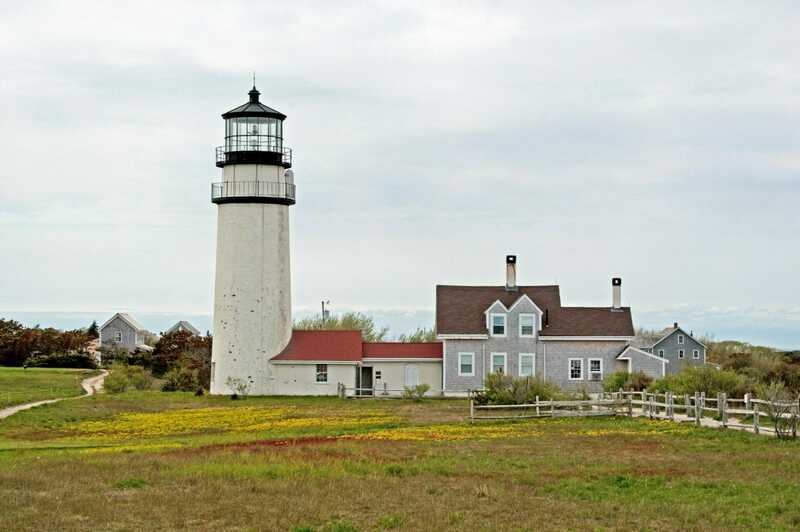 This classic summer island retreat is easily doable in a day, where you can spend the majority of the day wandering around postcard-perfect towns like Oak Bluffs to see the gingerbread houses, Aquinnah to see the Gay Head Cliffs, and Edgartown’s iconic Harbor Lighthouse. Head to State Beach, which offers tame waves and is walking distance to the center of Oak Bluffs. To get around the island, you don’t need a car, but can take advantage of the local buses that go between towns, or rent your own two wheels on this extremely bike-friendly island. For lunch: The family-run Giordano’s restaurant serves up pizza, pasta and fried clams in a cozy, family-friendly setting in Oak Bluffs. This picturesque part of the state should not be overlooked when brainstorming Boston day trips. A few hours drive will take you to highlights like the New England Peace Pagoda in Leverett, the Yankee Candle Village in South Deerfield, and the Norman Rockwell Museum in Stockbridge. Visit college towns like Amherst and South Hadley, with their beautiful traditional New England campuses. For a breath of fresh air, the Arcadia Wildlife Sanctuary is a lovely spot to spend an afternoon during the warmer months. For lunch: Stop by Theodore’s Booze Blues & BBQ for some of the best BBQ in Western Mass. With only 7,000 full-time residents, this town located on Cape Ann provides a classic New England coast town day trip. Surrounded by the Atlantic Ocean on three sides, plenty of stunning views and delicious seafood feasts await. Stop by Mofit Number 1, a replica of a classic red-hued fishing shack. Afterward, walk through downtown Rockport, where there are plenty of boutiques, restaurants and art galleries. For some sea and sun, make your way to Front Beach, which is an easy walk from the center of town. This beach boast calm waters that are perfect for swimming since there’s a rock wall that creates a nice barrier. For lunch: Grab a seat at the Red Skiff Restaurant, a local spot that offers memorable seafood-oriented dishes like creamy clam chowder and a decadent lobster BLT. Located only an hour and a half away from Boston, this seaside city is an ideal getaway for exploring the Newport mansions from the Gilded Age. The area was a summertime playground for wealthy families like the Vanderbilts and the Astors. The Breakers mansion is the largest (and most over-the-top) home and is a great starting point to your day. For a more tasteful over-the-top experience, the Vanderbilt’s Marble House is your mansion. For more old-fashion toned down (but still impressive) options, visit the Elms and/or the Rosecliff. All these mansions provide informative self-guided tours ranging from 30-90 minutes, that allow you to take in the residences at your own pace. After you get your fill of mansions, make your way into town and wander along Thames Street with it endless choice of restaurants, shops, and bars. For lunch: Drop by Winner Winner for some memorable fried chicken and biscuits. What are your favorite Boston day trips?